Microsoft’s announcement that they intended to accelerate the on-boarding (migration) of customer seats to Office 365 through the “FastTrack” program surprised some attending the Worldwide Partner Conference (WPC) last month. Apparently the idea is that Microsoft will hire (or has already hired) between 250 and 600 new employees to take on the “on-boarding” workload involved in moving customers over from their existing email systems to Exchange Online. The new service will swing into motion sometime toward the end of the year and will focus on closing the gap between the purchase of Office 365 subscriptions and when those subscriptions are actually used. Apparently some understandable frustration exists within Microsoft that considerable effort often goes into winning an Office 365 deal only for it to stagnate for a substantial period before going live. Despite the upward trajectory for Office 365, the feeling is that things should be going better and that a won but unimplemented deal is always prone to being overturned by a competitor – in this case, potentially a move to Google Apps. Providing an accelerator to deals should move things along faster, or so the theory goes. The announcement surprised partners who traditionally viewed this kind of work as their bailiwick. With or without Microsoft assistance, a partner would win the deal and then work with the customer to progress through design, planning, preparation, and migration. Given the success of Office 365, migration projects are a lucrative source of income for third party consultants. And that up-to-now reasonably predictable income stream might have underpinned the investment made by partners to build their capability to deliver Office 365 services. Helping customers to move to Office 365 faster makes perfect sense from a Microsoft perspective. In the early days of Office 365, migrations tended to be more problematic than today. 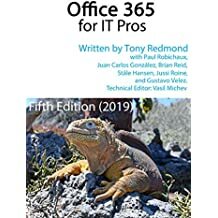 Years of experience, tips and techniques, and better software – both Office 365 itself and the migration utilities sold by third parties – means that migrations are often not as technically challenging as before. Migrations are still boring and mundane work but at least the work is well understood. But migrations to any new messaging platform can encounter lurking potholes, largely because there’s usually a period when old and new systems run alongside each other. Small companies of less than a couple of hundred users can move over a weekend, but once you deal with larger numbers the need to move mailbox data from on-premises servers across the Internet to Office 365 slows the pace. All of which means that complications like directory synchronization come into play. In short, migrations can be an extended and messy business. It seems that Microsoft will offer their new services to customers who have more than 150 seats to move to Office 365. According to an August 15 report, Microsoft’s team will be able to migrate users from Exchange 2003 or later versions, Lotus Domino 7.0.3 and later, and IMAP-accessible systems such as Gmail. To make such a venture possible, I imagine that Microsoft will follow a very precise playbook that outlines exactly how to prepare to execute a migration. Some new tools to automate steps can be anticipated. Any deviation from the playbook in terms of the characteristics of a customer’s on-premises system or the data to be migrated will possibly mean that it will fall outside the terms of this service and have to be referred to a partner. For example, if substantial pre-work is required to update the on-premises environment before a migration can start, that work is likely to be left to the customer or farmed out to a partner. Exchange 2003 and Exchange 2007 servers are probably the most common email servers found in the target base of customers considering a move to Office 365 and not all of these systems will have been well maintained over the years. I can see some challenges in figuring out basic stuff such as making sure that sufficient network capacity exists to allow mailboxes to be moved. It will be interesting to see how Microsoft validates a customer environment before starting any real on-boarding work. Sometimes it takes the eyes of a skilled human to detect lurking problems in an IT system and that won’t happen when everything is done from a call center. And you’ll notice no mention of SharePoint and Lync migration or co-existence with on-premises versions: this effort is all about getting Office 365 moving by accelerating the transition of email to the cloud. Given that a lot of small companies don’t use SharePoint or Lync, providing an email-centric migration service is the most effective course to take. According to reports, Microsoft told partners at WPC that this initiative will allow the partners to focus on more complex migration projects where more customized interaction (and therefore billing) is required to enable customers to move. In other words, instead of doing ten small migration projects that can now be handled by a Microsoft call center, a partner can focus on two or three more “interesting” projects and devote the same amount of effort to those engagements. To ease the pain for partners, Microsoft will continue to fund Office 365 engagements through deployment funds that cover $15,000 for the first 1,000 seats in a project plus $5/seat afterwards up to a limit of $60,000 per customer. These funds cover migration work that cannot be done from a central point. Continuing funds will help, but partners really need to focus on the big picture and ask themselves whether their business should center on any activity that can be automated and transitioned to a call center. Long-term success is better gained through high-value, high-knowledge activities. Perhaps this Microsoft move will be sufficient to persuade partners who have made a decent business from Office 365 on-boarding that they should concentrate on other aspects of Office 365, like SharePoint deployment, enterprise Lync, or even making sense of Yammer? This entry was posted in Cloud, Office 365 and tagged FastTrack, Migration, Office 365. Bookmark the permalink. I wonder if this has anything to do with the recent increase in contracting agents contacting contractors offering roles working for Microsoft on large 365 deployments? It seems similar to the age old solution provider process of ‘never turn away client work’. To fill the gaps they go to market for unknown resources who are then sold on to customers as trusted, high end consultants even though the solution providers have rarely known the contractor previously. In the best cases, permanent staff will be on-site accompanying the contractors, in others contractors alone will be working on client sites with little knowledge, if any, of the solution provider internal processes. Whilst one would expect Microsoft to undertake a better vetting of candidates than many, the whole premise of sending people who have just joined a company out to service valuable customers is risk for all concerned. Perhaps there is a consideration that if Partners are unable to service the demand for Microsoft and would be going to market for contractors to meet it anyway, then it would be better for Microsoft to do so with a higher vetting standard? Seems to me this is going to hurt partners more than help them. The “Gosh, now you can focus on more interesting projects” spin is pretty thin. It’s not like partners are often turning away lucrative “high skill” projects to do basic mail migrations. Furthermore every time Microsoft has changed the partner revenue plan or the partner licenses deal or made just about any other of their seemingly quarterly bits of bad news for the partners their fallback has always been “Well, services and migrations are really where the money is for you!” Now it sounds like they’re competing with the partners (at least for deals of 150+ seats) at a price the partners can’t possibly match (Free). In other words, fewer migrations and less money for the partners. How long before they extend this deal to 100 seats? 50? 20? Maybe I’m being cynical and pessimistic – it has been a rather bad day all around – but I’m not seeing any good news in this for partners and blame shifting it by suggesting that it’s their own fault for making a living doing tasks that could be automated feels a little like a cheap shot. I think that the initial effect will be negative, solely because it will take time for Microsoft to figure out exactly what they are capable of doing and for partners to adjust to the new reality. There’s also the undoubted fact that many partners are bruised by the sudden announcement of a free service that removes work. But on the other side, you can see the logic that has driven this decision and it’s also true that technology changes all the time and those who stay fixed on doing the same thing are usually left behind. Although we might decry the implementation and approach, turning this work over – for a subset of Office 365 projects – to an on-boarding factory could be a good thing. I guess we shall have to wait and see how this situation plays out before we really know the consequences. As we can see, Partners have NO benefits to get involved in the Office 365 game. I know many Partners that have dropped the Office 365 game and are into more long term $projects$ with customers. It make sense because once Microsoft get those mailboxes in the Office 365 ONLY Microsoft will make $$$ and no one else. And that was the whole point about Microsoft hosting (Office 365). Also several Partners told me, companies are NOT comfortable giving their Data (Emails) to the Microsoft hosting (Office 365), not matter all the marketing from Microsoft. Agree with Joe and Ben. No benefits for Partners to get involved with Office 365. I’m going to be a contrarian, here. I think there will be an initial dip in partner-driven Ofice 365 migrations until companies figure out how horribly non-responsive and overloaded Office 365 staff can be. In my current migrations the customer is more than happy to pay me because I respond quickly to their concerns, and we can always go back and expand the scope of the work if there are problems. Have you dealt with Office 365 support lately? My customer was hit with the bug in Exchange 2013 SP1/CU5 that makes the Hybrid Configuration Wizard fail. We’ve now been waiting over 24 hours to get access to the interim update to fix it. If the “migration engineers” Microsoft assigns are held to these same lax standards…partners have NOTHING to fear from this service. client of ours with 385 mailboxes went to one of the ms partners using the funds to augment their migration which they are being charged only 700 bucks. but the migration will take 4months ?!@$#@. Anyhow, to the point, after them knocking out email countrywide for this client 3x in 2 weeks its quite clear they are beginners that i wouldn’t even let touch the exch box if they worked here on our HDesk. Has anyone experienced problems when actually doing a migration using this service?